Q. What is the origin of the name, “Wandering Jew”? A. 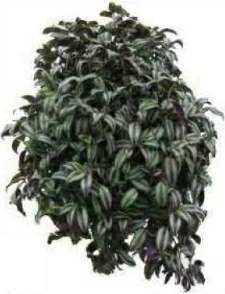 There is a plant which bears the name Wandering Jew because it is has a tendency to spread. The name was probably given without conscious antisemitic malice. There is also a bird called Wandering Jew, and even a card game and a game of dice. However, in Christian legend there is certainly a mythical figure called the Wandering Jew who embodies anti-Jewish animus. The underlying notion is that the Jews are destined to wander and be reviled because they rejected Jesus. The story takes many forms and its origin is likely to have had little if any specific connection with Jews. Not until the 13th century did it become a clearly antisemitic legend, often linked with the tradition that an officer of the high priesthood struck Jesus on the way to the cross and Jesus condemned him to suffer punishment until the so-called second coming (“You will go on forever until I return” is what Jesus is said to have told him). The Wandering Jew is said to be called Ahasuerus, the same name as the Persian king in the story of Mordechai and Esther. The Wandering Jew legend says that the Ahasuerus who struck Jesus was a Jerusalem shoemaker. Centuries of anti-Jewish prejudice inexorably conditioned Christian communities to see the Jew as a pathetic sinner doomed by his rejection of Jesus. The Wandering Jew was given different names in different versions of the story and became the central character in a sheaf of poems, novels and artistic and musical works, though the tragedy of the Holocaust has largely discredited the notion. However, some fundamentalist Christian circles who hang on to the story find it hard to come to terms with the vitality, dignity and creativity of the Jewish people and the vibrancy of the State of Israel. This entry is filed under Antisemitism & Racism, Articles, Ask The Rabbi, Interfaith Issues.